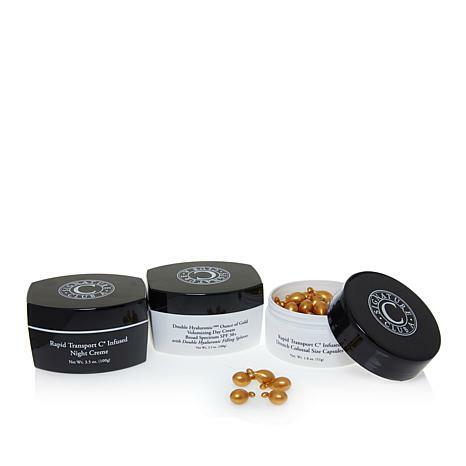 A trio of night cremes and capsules infused with Rapid Transport C and other key ingredients. Apply after cleansing every night to face. 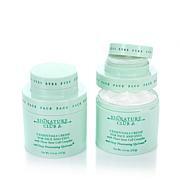 Look in the mirror and squeeze contents over specific lines and wrinkles on clean dry skin. 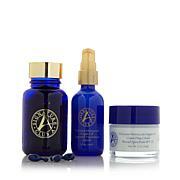 Blend rest all over face, neck and decollete. Best to use at night when skin is at rest. Ingredients: Active Ingredients: Octinoxate 7.50%, Oxybenzone 6.00%, Octisalate 5.00%, Avobenzone 3.0%. Inactive Ingredients: Acrylates/C10-30 Alkyl Acrylate Crosspolymer, Ascorbyl Palmitate, Butylene Glycol, Butylparaben, C12-14 Alkyl Benzoate, Calcium PCA, Cetyl Alcohol, Cyclohexasiloxane, Cyclopentasiloxane, Dimethicone, Disodium EDTA, Ethylhexyl Palmitate, Ethylparaben, Fragrance, Glycerin, Glyceryl Stearate SE, Honey, Isobutylparaben, Isostearic Acid, Magnesium Ascorbyl Phosphate, Methylparaben, Mica, Octyldodecyl Neopentanoate, Orange 4, PEG-100 Stearate, Phenoxyethanol, Phospholipids, Pollen Extract, Propolis Extract, Propylene Glycol, Propylparaben, PVP/Eicosene Copolymer, Retinyl Palmitate, Royal Jelly, Silica Dimethyl Silylate, Sodium Hyaluronate, Steareth-20, Titanium Dioxide, Tocopheryl Acetate, Tridecyl Salicylate, Triethanolamine, Water, Yellow 5, Yellow 6. Been using Signature Club A Vit. C products over 20 yrs. and get so many compliments on my skin.Love it!! Use only if you want beautiful skin ! These products make my skin look and feel soft and moist. I use them on my hands, elbows, knees and feet too . I am thankful for the large size. A little product goes a long way just after a shower . . . .Thank You Adrian ! ! I was skeptical but these products really work. The jowls are gone. I cannot believe how smooth my jawline is now. This is my very first SCA purchase and I am in love. The first night I tried the Vitamin C capsule and I woke up to blemish free and glowing skin. the day cream plumped up my dehydrated face. 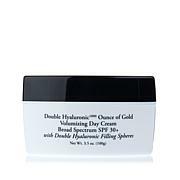 I love the sizes of each product I this is a exceptional value for how powerful these products are. I highly recommend. All the antibiotics and topicals in the world have never done what this vitamin C capsule (thank you Adrienne for making this affordable) as I bought 3 of these sets. The vitamin C clears my 35 years of acne better than anything on the planet.